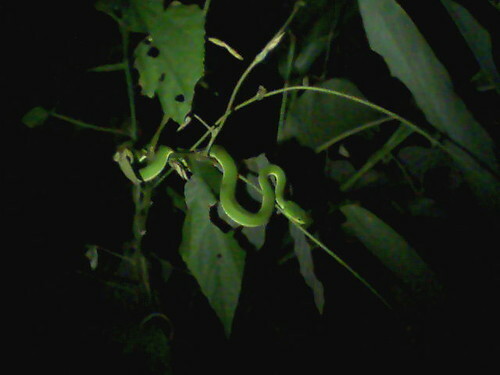 Can you confirm these amateur observations of Trimeresurus stejnegeri? Nepal, India (Sikkim, Assam), Myanmar (= Burma) (?? - see comment), Vietnam. chenbihuii: Hainan. Type locality: Diaoluo Shan, Lingshui Co., Hainan Province, China (150 m). Type locality: Shaowu, Fukien, China. Synonymy: Guo et la. 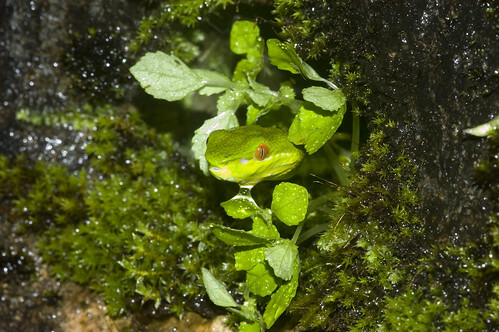 2016 called Trimeresurus stejnegeri chenbihuii “most probably an invalid taxon”, hence we synonymized it with steijnegeri. 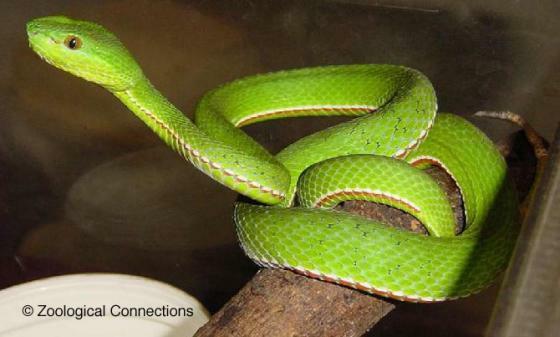 Subspecies: Trimeresurus yunnanensis is considered a subspecies of Trimeresurus stejnegeri by many authors (like ZHAO & ADLER 1993). According to Vogel (pers. comm.) 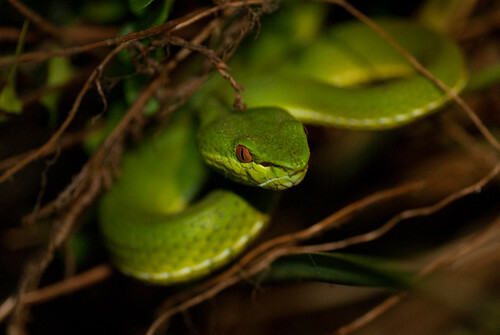 no subspecies of Trimeresurus stejnegeri are currently recognized. GOLAY et al. (1993) and MCDIARMID et al. (1999) recognize two subspecies, stejnegeri and yunnanensis (the latter is considered as a valid species here). Distribution: Specimens from Thailand have been assigned to T. vogeli and T. gumprechti, hence T. stejnegeri does not occur in Thailand (GUMPRECHT & BULIAN 2003). 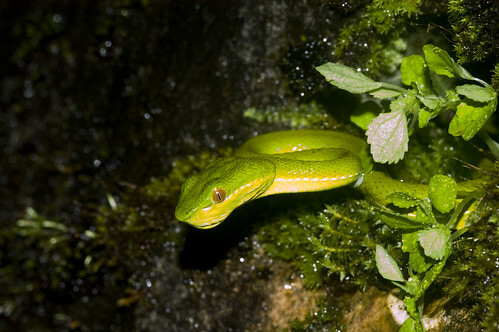 All records of T. stejnegeri from MYANMAR have been referred to Trimeresurus yunnanensis (see LEVITON et al. 2003). GUMPRECHT et al. (2004) recognize only 2 subspecies, stejnegeri and chenbihuii. Possibly in Bhutan (Lenz 2012). 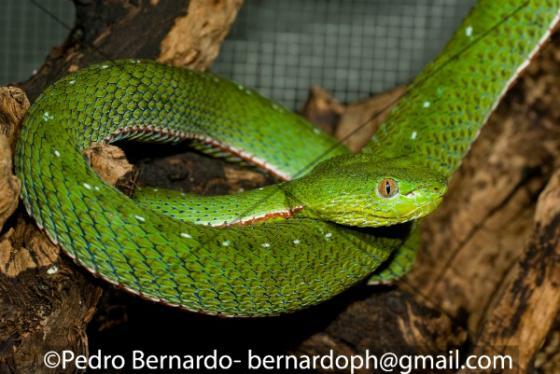 Type species: Trimeresurus stejnegeri is the type species of the genus Viridovipera MALHOTRA & THORPE (2004). The genus is diagnosed by the possession of a Type 1 spinose hemipenis. 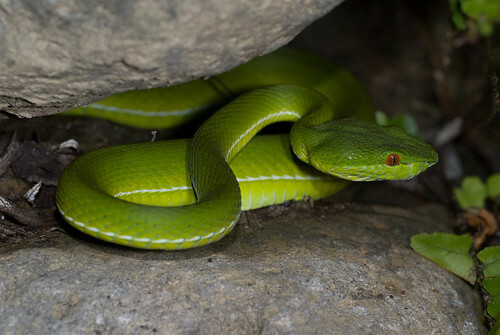 Etymology Trimeresurus stejnegeri chenbihuii has been named after Prof. Bi-Hui Chen of Anhui Normal University, but the validity of this subspecies has also been questioned (see ZIEGLER 2002 for a discussion). Forest Protection Department of Bac Giang Province 2010. Tay Yen Tu Nature Reserve: Biodiversity Conservation Value and Development Potential. Publishing House for Science and Technology, 37 pp. Klemmer,K. 1963. Liste der rezenten Giftschlangen. Elapidae, Hydropheidae [sic], Viperidae und Crotalidae. In: Die Giftschlangen der Erde. Behringwerk-Mitteilungen, spec. Suppl., Marburg.